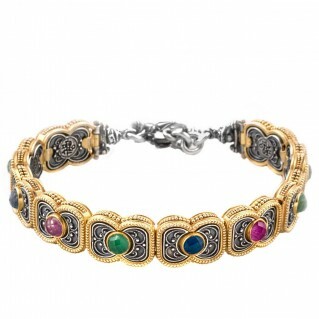 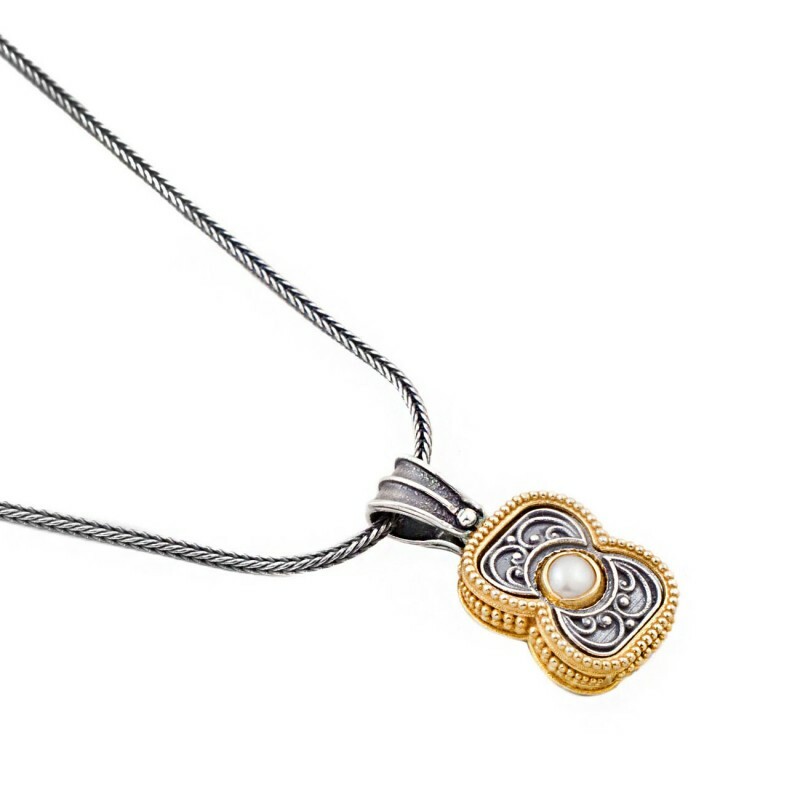 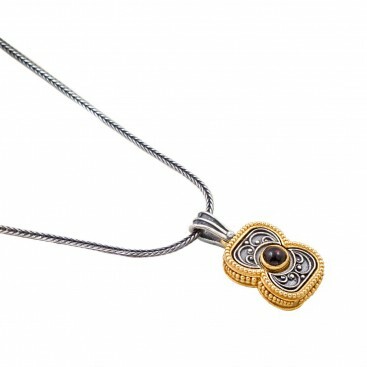 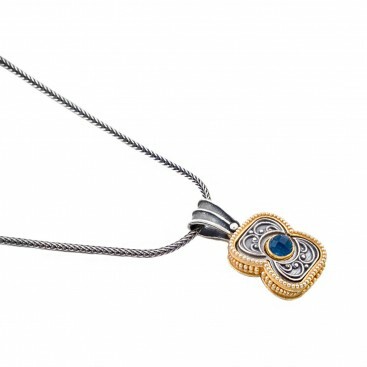 A unique pendant necklace with chain in Sterling Silver and Gold plated Silver. 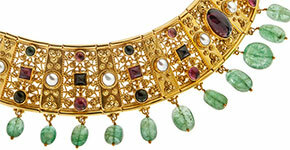 Choose your preferred gemstone. A sophisticated pendant necklace with chain, suitable for everyday use. 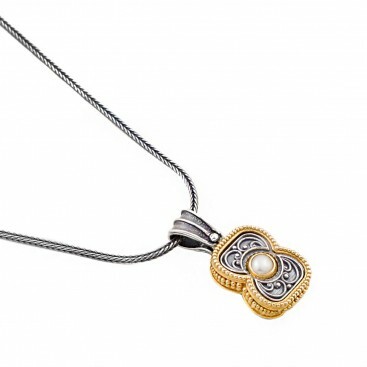 Choose your preferred gemstone: apatite, garnet or freshwater pearl.